Scientific work is harnessed to the course of progress. In the realm of art, however, there is no such thing as progress in that sense. It is untrue that a work of art that is created in an age which has developed new techniques, such as the laws of perspective, is somehow superior in purely artistic terms to a work of art that is innocent of all such techniques and laws. Contrast that with the realm of science, where we all know that what we have achieved will be obsolete in ten, twenty, or fifty years. That is the fate, indeed, that is the very meaning of scientific work. It is subject to and dedicated to this meaning in quite a specific sense, in contrast to every other element of culture of which the same might be said in general. Every scientific “fulfillment” gives birth to new “questions” and cries out to be surpassed and rendered obsolete. Everyone who wishes to serve science has to resign himself to this. The products of science can undoubtedly remain important for a long time as “objects of pleasure” because of their artistic qualities, or as a means of training others in scientific work. But we must repeat: to be superseded scientifically is not simply our fate but our goal. We cannot work without living in hope that others will advance beyond us. In principle, this progress is infinite. 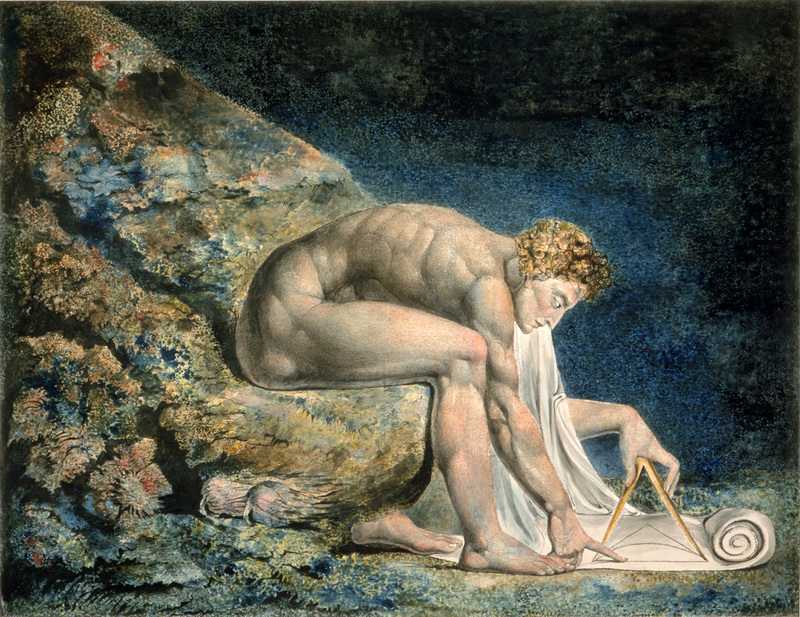 Newton, by William Blake, c. 1805. Tate Britain, London. This brings us to the problem of the meaning of science. For it is far from self-evident that a thing that is subject to such a law can itself be meaningful and rational. What is the point of engaging in something that neither comes, nor can come, to an end in reality? Well, for one thing, we may engage in it for purely practical purposes, or technical purposes in a broader sense: namely, to enable us to orient our practical actions by the expectations provided by our scientific experience. All well and good. However, that has meaning only for the practical man. But what is the inner attitude of the scientist himself to his profession? If indeed he bothers to search for one. He maintains that science must be pursued “for its own sake,” and not simply so that others can use it to achieve commercial or technical successes, so that they can feed or clothe themselves, make light for themselves, or govern themselves. What meaningful achievement can he hope for from activities that are always doomed to obsolescence? What can justify his readiness to harness himself to this specialized, never-ending enterprise? That question calls for some general reflections. Scientific progress is a fraction, and indeed the most important fraction, of the process of intellectualization to which we have been subjected for thousands of years and which normally provokes extremely negative reactions nowadays. Let us begin by making clear what is meant in practice by this intellectual process of rationalization through science and a science-based technology. Does it mean, for example, that each one of us sitting here in this lecture room has a greater knowledge of the conditions determining our lives than an Indian or a Hottentot? Hardly. Unless we happen to be physicists, those of us who travel by streetcar have not the faintest idea how that streetcar works. Nor have we any need to know it. It is enough for us to know that we can “count on” the behavior of the streetcar. We can base our own behavior on it. But we have no idea how to build a streetcar so that it will move. The savage has an incomparably greater knowledge of his tools. When we spend money, I would wager that even if there are political economists present in the lecture room, almost every one of them would have a different answer ready to the question of how money manages things so that you can sometimes buy a lot for it and sometimes only a little. The savage knows how to obtain his daily food and what institutions enable him to do so. Thus the growing process of intellectualization and rationalization does not imply a growing understanding of the conditions under which we live. It means something quite different. It is the knowledge or the conviction that if only we wished to understand them we could do so at any time. It means that in principle, then, we are not ruled by mysterious, unpredictable forces but that, on the contrary, we can in principle control everything by means of calculation. That in turn means the disenchantment of the world. Unlike the savage for whom such forces existed, we need no longer have recourse to magic in order to control the spirits or pray to them. Instead, technology and calculation achieve our ends. This is the primary meaning of the process of intellectualization. © 2004 by Hackett Publishing Company, Inc. Used with permission of Hackett Publishing Company, Inc. All rights reserved. From “Science as a Vocation.” Writing his doctoral and postdoctoral theses in the 1880s on medieval trading companies and on ancient Rome’s agrarian history, respectively, Weber was in and out of mental institutions between 1898 and 1903. In the subsequent two years, he published The Protestant Ethic and the Spirit of Capitalism in installments. “Science as a Vocation” was written as a lecture for the University of Munich’s forum on “intellectual or spiritual work as calling.” He died at the age of fifty-six in 1920.